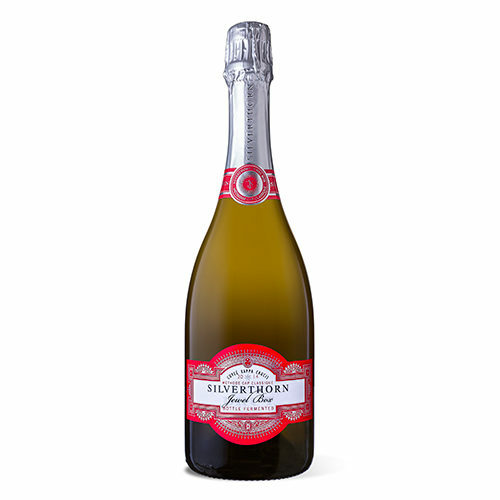 Categories: Silverthorn Wines, Sparkling Wine. The emphasis is on richness, opulence and complexity. A Chardonnay/ Pinot Noir Cap Classique wine with a light straw yellow appearance and elegant and fine bubbles. the nose is complex with roasted almonds, marzipan and subtle hints of strawberry and cherry compote followed on by zesty citrus nuances. A dry but rich palate with toasty creaminess and beautiful palate weight. Grilled game fish with rich mayo aioli, roasted quail with Champagne risotto and wild mushrooms. 70% Chardonnay, 30% Pinot Noir.